Faster processors and network speeds drive the need for an all-flash data center. Earlier this year, Pure Storage announced Charlie Giancarlo as CEO. Prior to leading Pure Storage, Giancarlo was a managing director and senior advisor at Silver Lake Partners. If Giancarlo's name is familiar to you, it should because he held a number of executive positions at Cisco, including chief technology officer and chief development officer, which is where I got to know him. Many people, myself included, consider Giancarlo one of the masterminds behind Cisco’s meteoric rise, as he was one of the architects that moved the company into new markets, such as ethernet switching, VoIP, Wi-Fi and TelePresence. The one thing I always found impressive about Giancarlo is that we could be discussing the latest business and stock market trends and then a few minutes later transition into how the silicon inside a router was designed and the technical differentiation it creates. 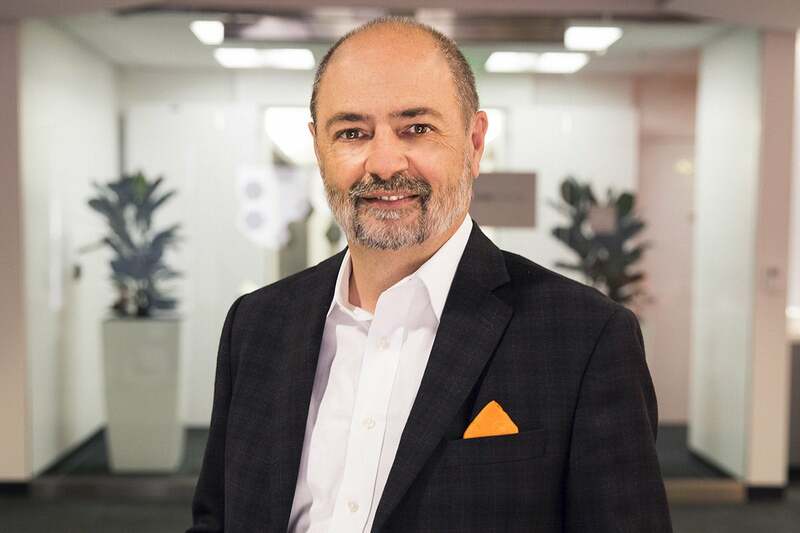 Given Giancarlo's technical and business acumen, I was delighted to talk with him about why he decided to assume the role of head honcho at Pure Storage and what he sees coming up in the storage industry. Cisco has always been masterful at identifying market transitions, and you were a big part of building that culture. Is there a market transition coming in storage that creates an opportunity for share gain? If so, what’s causing it? Giancarlo: That’s an interesting question. If you had asked me at the beginning of 2017 if I would join a storage company, I would have said probably not. I was caught up in the conventional wisdom that the storage industry had reached its zenith, would soon be in decline and there was no room for differentiation. This meant the only way to compete would be through open-source or low-cost software on white box arrays. If you look at the big dogs in the industry, such as IBM, Dell-EMC and HPE, the storage businesses at these companies are in decline and their strategies have been to reduce expenses and control costs. Large tech mergers are taking place, not for innovation but for cost reduction to compete better in an undifferentiated market. As I dug in deeper, though, I realized that this was the opportunity for Pure Storage. My fundamental belief is that compute is a three-legged stool made up of processors, network and storage. If two of these accelerate, it creates an opportunity for the third. Network speeds are now at 40 and 100 Gig-E, NVMe is coming, and processing speeds have gone through the roof with the rise of multi-core CPUs, GPUs (Graphics Processing Units) and cloud-scale data centers. This means storage has become the bottleneck. Magnetic disks can’t keep up at these speeds, and this creates an opportunity for flash storage. What’s driving the need for faster networks, processors and storage? Giancarlo: Well, there are a couple of different factors, and I’ll describe these as new use cases and traditional ones. First, let’s look at new use cases. There are a bunch of things going on in data centers today that weren’t a factor even a couple of years ago. This includes artificial intelligence, machine learning, video processing and analytics. These only perform as well as the performance of the lowest-common-denominator in the underlying infrastructure. With advanced Intel CPU and Nvidia GPU-based applications, the goal should be to keep the massively parallel CPU busy so there are no idle cycles. Being able to keep the parallel processors fed means having an active data store that allows multiple groups to access the data at the same time. Magnetic disks aren’t fast enough to keep up, but flash is. Furthermore, legacy storage solutions that were designed for magnetic disk cannot deliver the speed that flash can provide without degrading flash performance. Looking at more traditional standard applications (things like Oracle databases, ERP systems and others), there are several reasons why customers are looking at flash to replace magnetic hard drives beyond just the raw performance advantage. It’s common today for databases on disk to be copied many times to ensure performance: copies for multiple users, copies for test/dev, copies for analytics, and copies for protection. Pure’s all-flash solution allows all these “copies” to be consolidated (and de-duped) on a single system. By coupling the performance of flash with our flexible software for snapshots, a single all-flash array can reduce all these wasted instances and make application development more agile, since developers can work off of the most recent version of production data. There is a third use case for flash that’s still emerging, and that’s its use for large-scale unstructured data storage, such as big data, IoT information, and even backup. There is a Moore’s Law for flash where the price curve is declining quickly. The curve for magnetic is declining, as well, but flash is falling faster. Right now, it’s cheaper to store unstructured data on magnetic, but once flash drops another 50 percent, I believe there will be significant competition for flash versus magnetic in that market. Magnetic is a bottleneck as the world moves to real-time analytics — creating lots of opportunities for flash to enable new applications in the analytics space. When do you see this cross-over happening? Giancarlo: My prediction is that we will see a 50 percent decline in flash pricing in about three years and a 75 percent decline in six years. It could happen faster, as it’s also dependent on when magnetic storage stops declining. All of the storage vendors understand the future is flash, and that will limit the investments made in magnetic. Once magnetic investment curtails, the historical price declines we have seen over the last 40 years will end. The logarithmic curves we have seen on price performance are based on investment, not physics, and investment today is in flash. My prediction is that we will see a 50 percent decline in flash pricing in about three years and a 75 percent decline in six years." But the important thing to realize is that flash doesn’t actually have to be cheaper than magnetic disk for the full transition to happen — it just has to be cheap enough for folks to be able to justify the conversion in terms of saving power, space, cooling, and manpower, and for folks to understand the business upside in moving to flash. ... That ROI equation already works for the vast majority of important business applications today, and we think the pivot for unstructured data applications will happen much faster than people anticipate. What about the public cloud? Do you buy into the theory that the public cloud obviates the need for any kind of private data center? Giancarlo: That may be true for some small businesses, but for enterprise-class companies, there are a few factors that work against that thesis. The first is that regulatory issues make public cloud problematic. Businesses need to worry about constantly changing data privacy and data sovereignty issues, and that is much easier to handle in their own infrastructure. Also, there’s a cost issue. For businesses that can afford their own IT staff, the public cloud is much more expensive. I think CIOs today have matured significantly in their understanding of how best to use the public cloud. I don’t see very much “it’s either all on-prem or all public cloud” thinking anymore — rather folks realize that both are different tools for different applications. One thing that has changed, however, is that CIOs have realized they need to run their on-prem infrastructure leveraging the lessons of the public cloud: centralization, simplification, standardization, and automation. We have designed the product to operate well in all environments, and we sell to public cloud providers, SaaS providers, and traditional enterprise data centers. So, why Pure Storage? Why go there versus another company? Giancarlo: I wanted to go somewhere that had the opportunity to lead in an important industry, with a disruptive technology advantage — and I think I made the case for flash — and grow as an independent public company. Pure has all of the opportunity in the world to be the leader in driving the next generations of storage and continuing to enable greater computing performance. One of many things I liked about Pure Storage was the feedback from customers. One key lesson I learned at Cisco was the importance of listening to the people who buy your products, and I spent a lot of time getting to know Pure’s customers. My key takeaway was that the product is highly differentiated and customers love it. In fact, I’ve had customers tell me it’s the best product they have ever bought. I had not heard that since the days of delivering the first ethernet switches. What, specifically do Pure customers love about the product? Giancarlo: The aspect of our solution that customers like most is our Evergreen subscription pricing. With Evergreen, once a customer subscribes, that monthly fee is all they pay moving forward. Any upgrade to the hardware array, software updates or new features are included at no extra cost. For example, our new Active Cluster feature (synchronous replication) and deduplication are included, and that customer is subscribing to future innovation that comes with the product as well. If the flash goes bad and needs replacing, that’s on our nickel. Obviously, if customers expand the amount of storage and need more capacity, they would need to pay for that, but any replacement, we cover. Our software lets us see the state of the flash, and we can predict when it might fail and will swap it proactively. Our competitors typically require customers to upgrade to a new product every five years or so and often will end support on their earlier product, which forces an array change and software migration. This has an obvious cost to it, but it also requires the company to take the array down, which can be very disruptive. Our arrays are constantly being upgraded, which can be done while the system is running so there is never any downtime. Many customers live in fear of migrating, and with Evergreen, customers never need to. Also, we have put a lot of work into our software to make sure our product is easier to use, and customer feedback has been that they need five to ten times fewer people to manage our product. This lets companies dedicate fewer resources to managing storage and more on strategic initiatives. In fact, we often see customers merge their storage and server teams to create full-stack generalists vs. having folks dedicated to storage. Any other advice for the readers? Giancarlo: The biggest thing is to not accept the status quo and to find a way to simplify operations. When I talk to storage managers, I’m often reminded of an old magazine comic that stated: “The beatings will stop when morale improves.” What I mean by that is that storage customers are so used to the amount of work it takes to manage their environment, they can’t accept the fact that there is an easier way. Call it Stockholm Syndrome. When we tell them that our product requires five to ten times fewer people per Terabyte, they often can’t believe it. Whatever new solution IT managers evaluate, top criteria should be complexity reduction. No matter whether it’s servers, network or storage, evaluate the vendor on their software. With storage, this means the management tools should be built specifically for flash and not be one designed for magnetic and then retrofitted. Network pros wouldn’t run a software-defined network (SDN) with legacy management tools, and storage managers shouldn’t be managing flash with software built for legacy disks.